ICE Futures canola contracts settled within 50 cents of unchanged in the most active months on Wednesday, lacking any clear direction throughout the lightly-traded session. Temperatures dipped below freezing in parts of Alberta and Saskatchewan overnight. While the anecdotal reports were not pointing to any serious yield or quality losses, the jury was still out on the extent of any damage, which provided some support. However, losses in Chicago soybeans and soyoil put some pressure on canola. Chart resistance and positioning ahead of Thursday’s Statistics Canada stocks report also weighed on values. 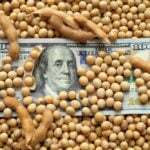 Traders generally expect that the government agency will confirm large carryout stocks from the last crop year. About 10,589 canola contracts traded, which compares with Tuesday when 14,257 contracts changed hands. Spreading accounted for 5,816 of the contracts traded. SOYBEAN futures at the Chicago Board of Trade were lower on Wednesday, seeing some follow-through selling after Tuesday’s declines. Ongoing trade issues with China, weighed on prices, while the start of seasonal harvest pressure contributed to the softer tone with early yield reports generally coming in favourable. Condition ratings for the United States soybean crop were left unchanged at 66 per cent good-to-excellent in the latest weekly report from the U.S. Department of Agriculture. CORN futures were weaker, with spillover from the declines in wheat and expectations for a big U.S. corn crop this year behind much of the declines. The U.S. corn crop was rated 67 per cent good-to-excellent in the latest weekly report, which was down one point from the previous week. The USDA announced a flash sale of just over 100,000 tonnes of corn to Mexico this morning, providing some underlying support. All three U.S. WHEAT markets were lower, with the largest losses in CBOT soft wheat. 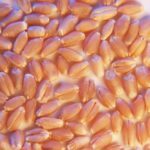 U.S. wheat continues to miss out on export opportunities, despite drought stricken crops elsewhere in the world, with Egypt buying 60,000 tonnes of wheat from Russia in its latest tender. 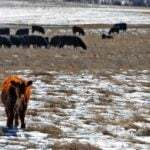 Forecasts calling for rains in parts of the dry southern U.S. plains were also bearish. Light crude oil nearby futures in New York was down $1.15 at US$68.72 per barrel. In the afternoon, the Canadian dollar was trading around US75.84 cents, up from 75.86 cents the previous trading day. The U.S. dollar was C$1.3185.